A post partum doula on why the fourth trimester is so important for mums. A postnatal doula on why more women need to embrace the 'fourth trimester'. A quick Google search of ‘what is the fourth trimester?’ and you’ll find a whole lot of information about the major developments a baby goes through in the first three months of life. There’s not much about mum, except that she doesn’t get much sleep and is often inundated with unsolicited advice. Paediatricians and child development experts get cited about the massive development that babies go through during this time. But what about the changes that happen to mum? During her pregnancy, and up to two years after having her baby, a new mum undergoes a huge transformation. In fact, you could say she isn’t only birthing her child, she’s also birthing herself. "You could say she isn’t only birthing her child, she’s also birthing herself." Image: Getty. Luckily, nature has got our back. From the moment our babies are conceived up until they are about two years old mothers undergo an enrichment program within themselves. It’s what makes you feel so forgetful, it’s what makes you zero in on your baby, it’s that feeling you&apos;re losing yourself. It’s baby brain and it’s neuroplasticity at its finest. The fourth trimester isn’t just about baby’s development, it’s about wrapping new mum up so she can rest, eat and do what nature intended – to learn about her baby, find her own mothering style and to fall in love with her baby. In our Instagrammable world, we’re applauded for bouncing back into shape and into our old lifestyle as soon as possible, to the point we’ve forgotten how to stop and allow ourselves to rejuvenate so we can come back stronger than ever. Planning on giving birth? Monique Bowley and Bec Judd discuss everything you’ll need for the first three days with a newborn, on Hello Bump. Post continues after audio. The fourth trimester is just as much about the mother as it is the baby. Having a baby is a huge and the fourth trimester is a space that allows these changes to integrate. It allows a new mother to shift gears slow down and to rejuvenate. 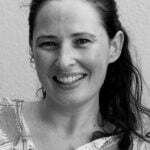 Lucy Mendelssohn is a postnatal doula and runs free monthly Postnatal Planning Workshops in Sydney. Not in Sydney? The Newborn Mothers Collective is a worldwide collective of postpartum doulas and specialists and we have your back. To find a postpartum doula and their workshops near you check out the Newborn Mothers directory here.